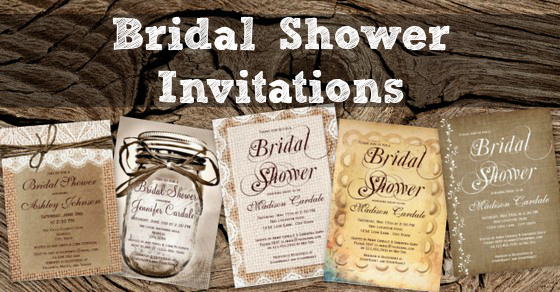 Here are some rustic country bridal shower invitations that are perfect for a country bride. These are easy to change templates. Just add your own bridal shower details. Choose from 10 different paper types, and choose whether you want square or rounded corners. There are a variety of country style backgrounds, like mason jars, barn wood, and burlap print designs. 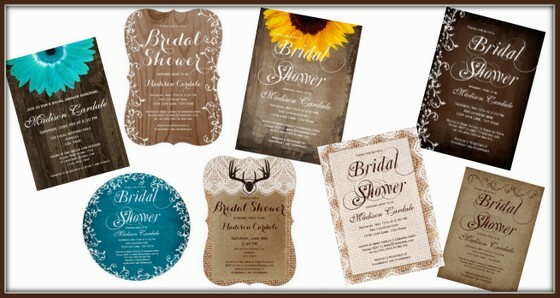 More great rustic country bridal shower invitations by other talents graphic designers.